Sophisticated trophies for your wrist. What is stalking without a target, hunting without prey? 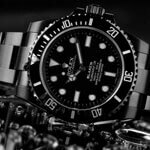 Trophies are a part of hunting, just like weapons, clothing, rituals – and reliable watches. 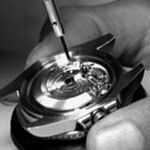 The watch manufacturer Blaken, based in Sauerland, Germany, and the international traditional hunting brand Blaser have come together to design skilfully manufactured weapons in an even more unique fashion and to supply high-end timekeepers which will set every hunter's pulse racing. Blaken has enhanced ten Blaser guns with red decorative stitching and black details in a typical finish. The proud owner of each of these valuable weapons will receive the corresponding Blaken trophy for their wrist. Blaser stands for solidarity, reliability and longevity, for weapons which convey the personality of their owners in astriking fashion. 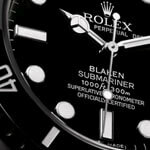 As do watches by Blaken. The owner of this rare gun can choose between the Blaken Blaser Daytona and the Blaken Blaser Explorer II. 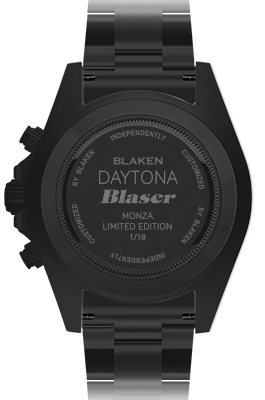 The Rolex Chronograph Blaken Blaser Daytona brings Florida's famous racing track to mind and measures to exactly one eighth of a second. 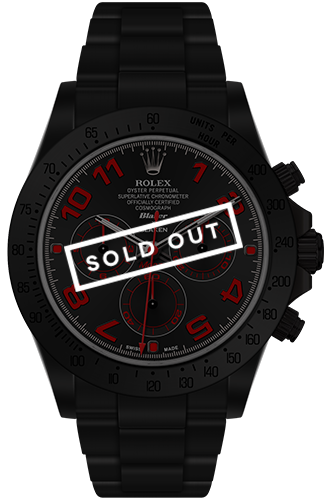 The blood-red digits and the second hand on the jet-black 40 mm wide face give the watch a unique, almost aggressive appearance. The Blaken Blaser Explorer II is the perfect companion in extreme weather conditions. 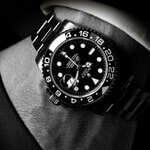 You can differentiate between daytime and nightime whenever you like thanks to the 24-hour hand. 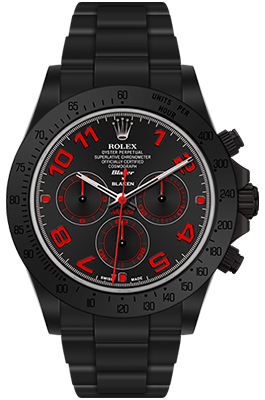 At 42 mm, the dial is slightly larger than the dial on the Daytona and also opts for the powerful signalling combination of black with red features. 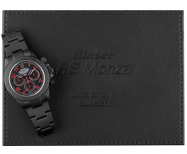 Blaser DaytonaSophisticated trophies for your wrist. striking fashion. As do watches by Blaken. The owner of this rare gun can choose between the Blaken Blaser Daytona and the Blaken Blaser Explorer II.